This three-day trek with its more demanding but amazing 2nd day will bring you close to the people and the nature in this area. You will have stunning views and meet the local minorities. Learn more about our Home Stays. 7:45am Your personal guide will meet you at your hotel. 8am begin your trek downhill to the village Sin Ho. We will pass several fields with local medicine plants such as cardamom. 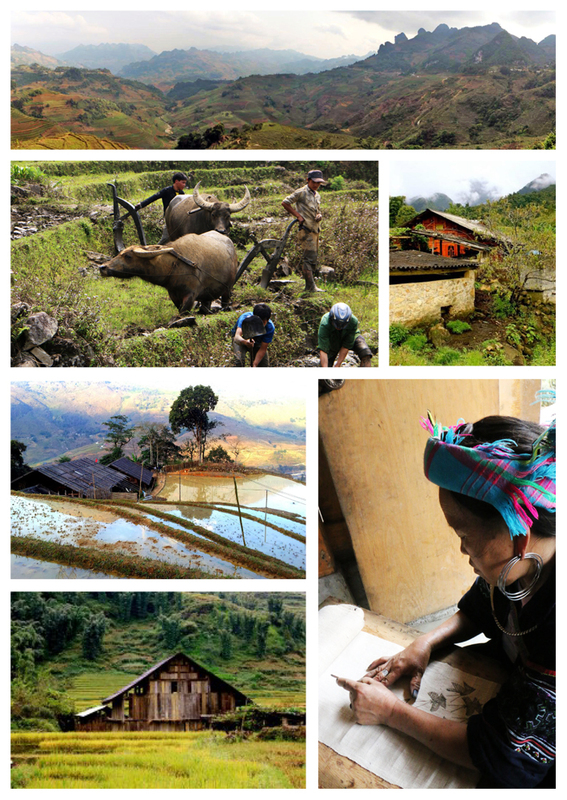 We continue our trek to Ma Tra where we will have our lunch at a Black Hmong family house. In Ma Tra is a salmon fish farm since the salmon cultivation was introduced to this region some years ago. From Ma Tra we go to Ta Phin Village to meet Red Dao People. You will learn about the famous medicinal herbal baths and even have the chance to enjoy one if you like. As we we will spend our night at a Red Dao family house you can learn a lot about their culture. You can relax and take a rest or help to cook the dinner with the family. 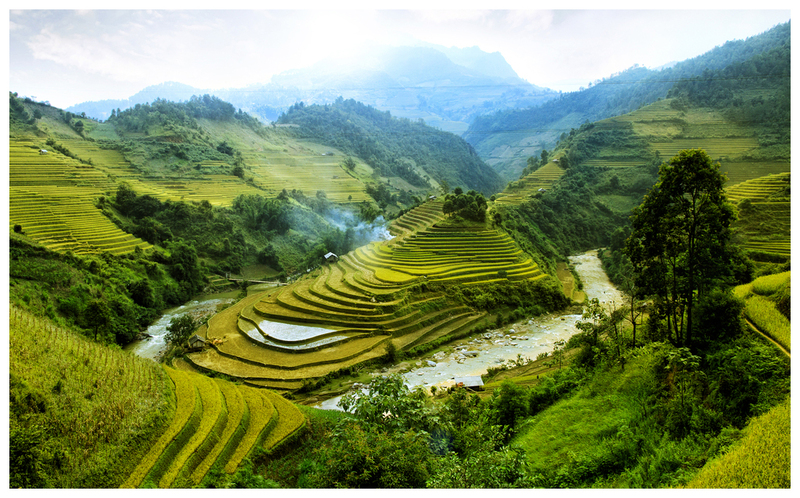 The 2nd day will be harder as we will begin our trek walking up to Xa Xang Village. The trek begins at 9am after breakfast at the homestay. On the way to Xa Xang we’ll pass a small river where some people search for gold and we will see the biggest tree of the village. It is belived that this tree protects Xa Xang Village. 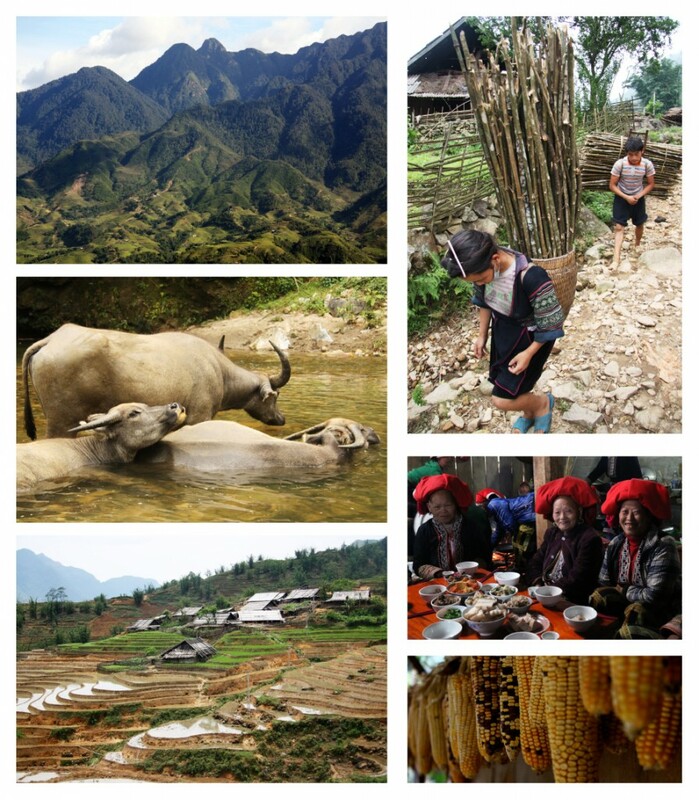 In the village we will have a pick-nic lunch and visit a Black Hmong family with a Shaman. We’ll walk to Hau Thao village. On the way you will have the best view over the whole valley with its many little villages and great mountains. On the way down to Giang Ta Chai Village you can decide wheter you want to spend your night with a Black Hmong or Dzay family. We’ll leave around 9am after breakfast. It is up to you if you want a long or short walk on the 3rd day. On the way to Su Pan you will see a small waterfall. An easy walk to Ban Dem where the car or bus will pick us up.